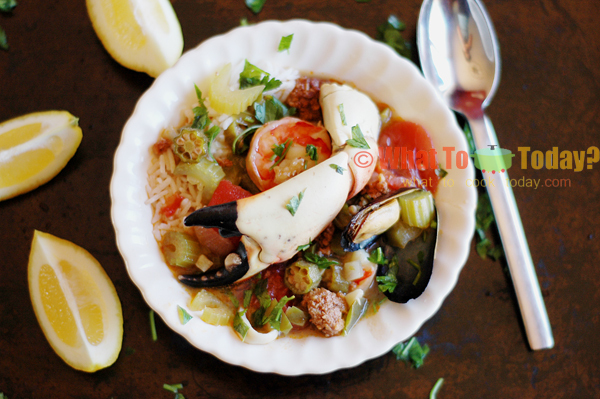 Gumbo is sort of a stew that was originated in Louisiana with some French influence in it. 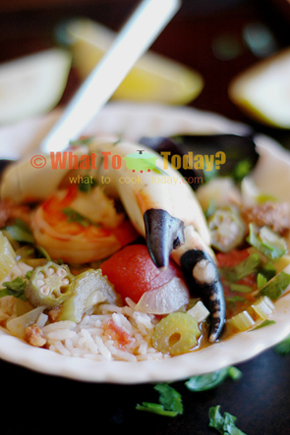 Gumbo is typically made of roux (a french base made of flour and fat), meat and/or shellfish or even alligator meats (I won’t be surprised with Louisiana’s dish) and vegetables such as tomatoes, celery and okra. 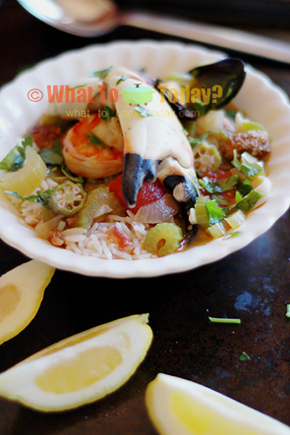 The best thing about preparing a gumbo dish is that you are not “confined” to whatever ingredients I listed here, you can swap them as you please. You can make it as fancy as you can or as economical as you can, and trust me, it will still be satisfying at the end of the meal. We did!